Before talking about far more important things going on at this years CND, briefly to this morning, when the NGO representatives had a particularly fractious meeting with the UNODC Executive Director, Antonio Maria Costa. Instead of having a constructive dialogue with the NGOs representatives present, the Director prompted an audible gasp as he immediately lashed out, angrily accusing half of us of being 'pro-drug' (again) and not caring if we killed millions in poor countries. Inevitably several present felt bound to take him to task on these offensive, and frankly ridiculous comments, and depressingly familiar scenes ensued. All rather pointless. There may be other accounts of all this but I won't dwell on it now. Costa is stepping down in May and hopefully a more positive relationship will be possible with his successor. We should also remember that the UNODC is far more than just its figurehead. Despite Costa parting company with many in the NGO community on a rather sour personal note this morning, the UNODC under Costa has, in fact, seen some considerable improvements in some areas of its NGO engagement - even if often rather begrudging, and more often behind the scenes than at the big showpiece events like the CND, as we have seen. We should give credit where due; this engagement has delivered some meaningful progress, the Beyond 2008 NGO meeting, for example, producing a potentially useful document (even if CND chose to completely ignore it). 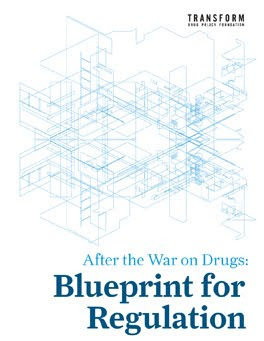 Perhaps the most significant development on this front has been the dramatically improved incorporation of human rights analysis from the NGO sector into the wider drug control discourse (for which IHRA's HR2 program and others including Human Rights Watch can take considerable plaudits). Costa, to his credit, has made a series of useful statements on human rights issues, notably on the death penalty. Mainstreaming of human rights in international drug control, including - we were pleased to see - a call for a human rights impact assessment to be used as a evaluative and developmental policy tool, as well as incorporating a human rights compliance assessment into the annual World Drugs Report, and provision of human rights training. You will forgive the lengthy excerpts that follow, but this is material really worth highlighting. I fully recommend you read the complete report (which provides the context and the references for the quotes below, (that btw include my emphasis)). The body of the report is only 15 pages and by UN standards, its pretty accessible and free of heavy legalese/waffle. "The normative foundation of the United Nations’ work in the area of the rule of law work is the Charter and the body of international law, including international humanitarian law, international criminal law, international refugee law, and international human rights law. Responses to drugs, crime and terrorism that are based on the rule of law must therefore also incorporate human rights law and principles. Too often, law enforcement and criminal justice systems themselves perpetrate human rights abuses and exclude and marginalize from society those who most need treatment and rehabilitation"
"Placing human rights at the centre of drug control, crime prevention and criminal justice provides an organizing set of principles that dissolves boundaries between the fields and promotes a single coherent response. Effective drug control cannot exist without fair criminal justice and successful crime prevention. Human rights offer guidance on the delicate balance between the protection of fundamental freedoms and the protection of public health, morals and security. It sets out the broad responsibilities of the State to respect, protect and fulfil the health and wellbeing of its peoples and specific due process guarantees, such as for those suspected or accused of a criminal offence." "Such an approach represents more than “added value”; it is a legal obligation. In the 2005 World Summit Outcome, Member States resolved that the promotion and protection of human rights should be both integrated into national policies and mainstreamed throughout the United Nations system. That the fight against drugs, crime and terrorism must conform to human rights is clear. The challenge is to understand how these policies may be pursued in a manner that not only respects and protects human rights, but also contributes towards their positive fulfilment." "These bodies of treaty law are interdependent and are intended to support elements of the same pillars of peace and security, development and human rights. Nonetheless, references to human rights within the crime, terrorism and drug-related treaties are sparse. This does not mean that human rights law has no application to drugs, crime and terrorism. Rather, where references to human rights do occur in the drug, crime and terrorism conventions, it is clear that the intention is to highlight that international human rights law must be fully respected in their implementation. This is consistent with the core Charter obligation to promote respect for, and observance of human rights." "No treaty, however special its subject-matter, applies in a normative vacuum, as both general international law (including customary international law) and particular concurrent international obligations affect its interpretation and application. The question of whether a particular criminal law is inconsistent with international human rights must be assessed on a right-by-right basis. One reason for this is that while some rights (such as freedom of expression, for example) may be limited on the grounds of public safety, order, health, morals and the rights and freedoms of others, other rights may not be limited under any circumstances." "In particular, the balance between State action and individual rights can be different when it comes to vulnerable groups. Indeed, human rights law can be said to have a particular focus on marginal groups, vulnerability, disadvantage and discrimination"
"With respect to children who use drugs and abuse alcohol, the United Nations Committee on the Rights of the Child considers that the right of the child to protection demands that such children should be treated as victims and not as criminals. Indeed, the United Nations Convention on the Rights of the Child — as the only core United Nations human rights treaty to refer specifically to drug use — has a strong focus on protection rather than punishment." "Similarly, as concerns persons vulnerable to HIV/AIDS, the International Guidelines on HIV and Human Rights emphasize that criminal law should not be an impediment to reducing the risk of HIV transmission among injecting drug users, or to provision of HIV-related care and treatment for injecting drug users. " In particular, Member States should consider the repeal of laws criminalizing the possession, distribution and dispensing of needles and syringes, in favour of the authorization or legalization and promotion of needle and syringe exchange programmes. "..the principle that the severity of penalties must not be disproportionate to the criminal offence is found in a wide body of human rights related standards. 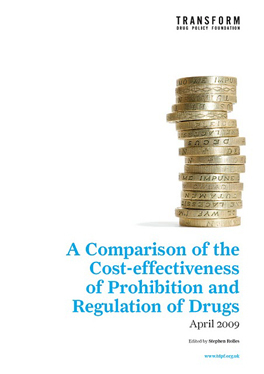 This principle includes the notions that imprisonment should be used as a penalty of last resort, and that the choice between penalties should take into consideration the likelihood of the offender being rehabilitated"
"In the context of drug laws and sentencing, the drug-control conventions generally require parties to establish a wide range of drug-related activities as criminal offences under their domestic law. Nonetheless, they permit parties to respond to them proportionally, including through alternatives to conviction or punishment for offences of a minor nature. Serious offences, such as trafficking in illicit drugs, must be dealt with more severely and extensively than offences such as possession of drugs for personal use. In this respect, it is clear that the use of non-custodial measures and treatment programmes for offences involving possession for personal use of drugs offer a more proportionate response and the more effective administration of justice. Moreover, the criminal justice response should not be considered proportionate if it results in the denial of another individual human right. Where imprisonment for possession/use offences precludes access to appropriate drug-dependence treatment, for example, this may constitute a denial of the right to the highest attainable standard of health or even the right to freedom from cruel, inhuman or degrading treatment, rendering the criminal justice response de facto disproportionate." Overall, while human rights law does not usually direct the content of criminal laws or penalties per se, it does demand strict scrutiny to ensure that laws do not deny the rights of individuals. In the case of drug laws in particular, obligations to establish offences under the international drug conventions must be fulfilled while at the same time respecting a range of rights, including the right to health, to the protection of the child, to private and family life, to non-discrimination, to the right to life, the right not to be subjected to torture or cruel, inhuman or degrading treatment or punishment, and the right not to be subjected to arbitrary arrest or detention. As noted by the United Nations High Commissioner for Human Rights, drug laws frequently overemphasize criminalization and punishment while underemphasizing treatment and respect for human rights. "Accordingly, the right to health calls for access to measures such as counselling, advice, clean needles and syringes, and drug dependence psychosocial and pharmacological treatment, including, where appropriate, opioid-agonists therapy (or long lasting opioid-agonists). Such requirements are fully compatible with those of the international drug control conventions. The International Narcotics Control Board notes that governments should adopt measures that may decrease the sharing of hypodermic needles among injecting users in order to limit the spread of HIV/AIDS.72 It is also of the view of the Board that the implementation of drug substitution and maintenance treatment does not constitute a breach of treaty provisions, whatever substance is used for such treatment in line with established national sound medical practice." "UNODC will consider using, where appropriate, the Human Rights Impact Assessment (HRIA) as a predictive tool for assessing the potential human rights impact of a policy or programme, with the aim of informing decision makers and affected persons. By helping to identify the nature and extent of the potential impact, the HRIA facilitates the adjustment of the proposed policy, mitigating the negative and maximizing the positive human rights impacts. HRIA is a combined tool for risk assessment, civil society engagement and decision-making, geared towards ensuring, from the outset, that human rights are at the centre of all policy and programmes. This is a relatively new and developing area and not without its difficulties, but one which could be of significant value for UNODC as a mechanism to mainstream human rights and operationalize human rights commitments and responsibilities. To this end, the HRIA includes a wide range of activities intended to identify and manage human rights risk and to evaluate humanrights impact, positive and negative, throughout the life of each project." Of course, This should all have been said years ago - and might have helped avert all manner of drugwar excess and horror if it had been. None the less, progress is progress and this is a useful foundational document for moving forward. So, well done Costa, thank you, and farewell. Did anyone get audio or video of Costa's outburst? People like him need to be treated with vicious intolerance. That we treat his kind with benign tolerance is shameful. One day he must account for the horrors of prohibition he has perpetuated as the head of the UNODC (under the pretense of 'Human Rights'). He should not be allowed to walk away from this mess. Strayan, that's a remarkably ignorant comment. Tbf, when Costa has behaved badly or his analysis has been poor its not been ignored, hes been heavily criticsed for it - and on occassion had to apologise. When he has done useful/positive work he's been congratulated, and rightly so. To be fair? To be fair!? Has Costa ever extended fairness to you? So he's had to apologise, big deal! The guy holds a position of immense authority and should be accountable for upholding a system that is monumentally unjust and immoral. What is even more disturbing is that the UNODC strategy passes for 'human righs'. When the champion of human rights (the UN) is nolonger delivering human rights we have a right to be outraged. im not defending his mistakes, I'm just saying that he has been criticized when he has stepped out of line. The UNODC strategy has not passed for human rights - that's the point, and why the new report from the Office is important. But we need to be clear - neither UNODC nor its ED holds up the system, nor is it capable of doing so, any more than the UN can "deliver" human rights.